Limited Edition Roommate 10" now available! Hello music fans, nerds, and freaks! 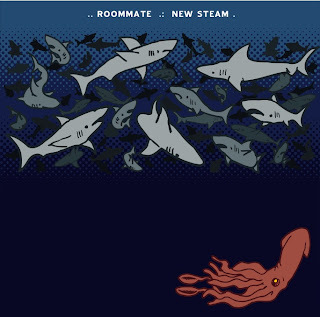 We are now carrying a super limited, hand printed, vinyl 10″ of Roommate’s, New Steam EP at our Plug Research shop. If you enjoyed these tracks when they were released as digital only files, you will surely enjoy this beautiful piece of vinyl. get your copy now, we only have a handful on hand.